In the late nineteen-thirties, as Benito Mussolini was preparing to host the 1942 World’s Fair, in Rome, he oversaw the construction of a new neighborhood, Esposizione Universale Roma, in the southwest of the city, to showcase Italy’s renewed imperial grandeur. The centerpiece of the district was the Palazzo della Civiltà Italiana, a sleek rectangular marvel with a façade of abstract arches and rows of neoclassical statues lining its base. In the end, the fair was cancelled because of the war, but the palazzo, known as the Square Colosseum, still stands in Rome today, its exterior engraved with a phrase from Mussolini’s speech, in 1935, announcing the invasion of Ethiopia, in which he described Italians as “a people of poets, artists, heroes, saints, thinkers, scientists, navigators, and transmigrants.” The invasion, and the bloody occupation that followed, would later lead to war-crimes charges against the Italian government. The building is, in other words, a relic of abhorrent Fascist aggression. Yet, far from being shunned, it is celebrated in Italy as a modernist icon. In 2004, the state recognized the palazzo as a site of “cultural interest.” In 2010, a partial restoration was completed, and five years later the fashion house Fendi moved its global headquarters there. Vuoi saperne di più sulla guerra globale ai monumenti e alla Storia? Leggi il numero 143-144 di Storia in Rete! Italy, the first Fascist state, has had a long relationship with right-wing politics; with the election of Silvio Berlusconi, in 1994, the country also became the first to bring a neo-Fascist party to power. But this alone is not enough to explain Italians’ comfort with living amid Fascist symbols. Italy was, after all, home to Western Europe’s biggest anti-Fascist resistance and its most robust postwar Communist Party. Until 2008, center-left coalitions maintained that legacy, often getting more than forty per cent of the vote in elections. So why is it that, as the United States has engaged in a contentious process of dismantling monuments to its Confederate past, and France has rid itself of all streets named after the Nazi collaborationist leader Marshall Pétain, Italy has allowed its Fascist monuments to survive unquestioned? The sheer number of relics is one reason. When Mussolini came to power, in 1922, he was leading a new movement in a country with a formidable cultural patrimony, and he knew that he needed a multitude of markers to imprint the Fascist ideology on the landscape. 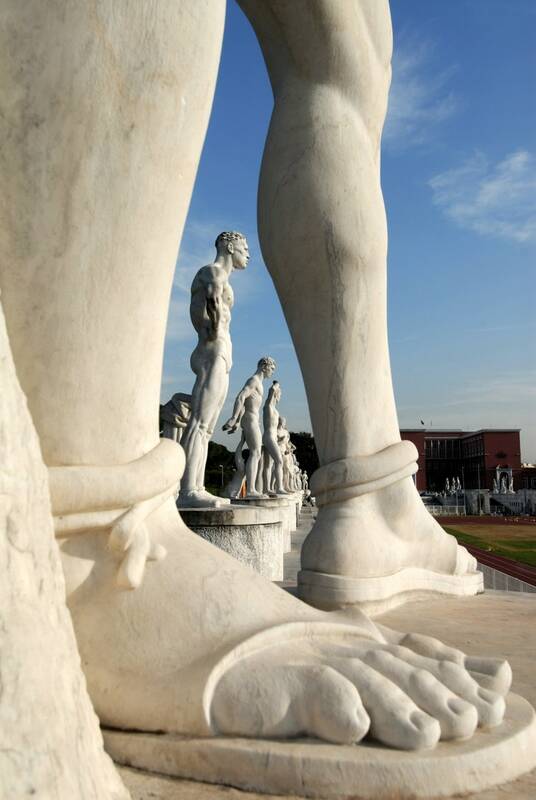 Public projects, such as the Foro Mussolini sports complex, in Rome, were meant to rival those of the Medici and the Vatican, while the likeness of Il Duce, as Mussolini was known, watched over Italians in the form of statues, photographs in offices, posters at tram stops, and even prints on bathing suits. It was easy to feel, as Italo Calvino did, that Fascism had colonized Italy’s public realm. “I spent the first twenty years of my life with Mussolini’s face always in view,” the writer recalled. In Germany, a law enacted in 1949 against Nazi apologism, which banned Hitler salutes and other public rituals, facilitated the suppression of Third Reich symbols. Italy underwent no comparable program of reëducation. Ridding Italy of thousands of Fascist memorials would have been impractical, and politically imprudent, for the Allied forces whose priority was to stabilize the volatile country and limit the power of its growing Communist Party. After the war, the Allied Control Commission’s bulletins and reports instead recommended that only the most obvious and “unaesthetic” monuments and decorations, like busts of Mussolini, be destroyed; the rest could be moved to museums, or simply be covered up with cloth and plywood. This approach set a precedent. The 1953 Scelba Law was designed to block the reconstitution of the Fascist Party and was famously vague about everything else. The ruling Christian Democratic bloc, which included many former Fascists, did not see the regime’s copious material remains as a problem, and so a more proactive policy was never put in place. This means that, when Berlusconi brought the right-wing Italian Social Movement Party to power, his rehabilitation of Fascism was aided by an existing network of pilgrimage sites and monuments. Most notable was Predappio, Mussolini’s birthplace, where his burial crypt is situated and where shops sell Fascist and Nazi-themed shirts and other merchandise. The Mancino Law, passed in 1993, had responded to the resurgent right by sanctioning the propagation of “racial and ethnic hatred,” but it was unevenly enforced. I was living in Rome on a Fulbright fellowship in 1994, and was jolted awake more than once by shouts of “Heil Hitler!” and “Viva il Duce!” coming from a nearby pub. In the aughts, as Berlusconi cycled in and out of office, sites like Predappio surged in popularity, and preservationists of all political stripes forged alliances with the empowered right to save the Fascist monuments, which were increasingly seen as an integral part of Italy’s cultural heritage. The Foro Mussolini, like the “Square Colosseum,” is a subject of special admiration. In 2014, Matteo Renzi, the center-left Prime Minister, announced Rome’s bid for the 2024 Olympics inside the complex, which is now known as the Foro Italico, standing in front of “The Apotheosis of Fascism,” a painting that was covered up by the Allies, in 1944, because it depicts Il Duce as a God-like figure. It would be hard to imagine Angela Merkel standing in front of a painting of Hitler on a similar occasion. In recent years, there have been some halting efforts to examine Italy’s relationship to Fascist symbols. 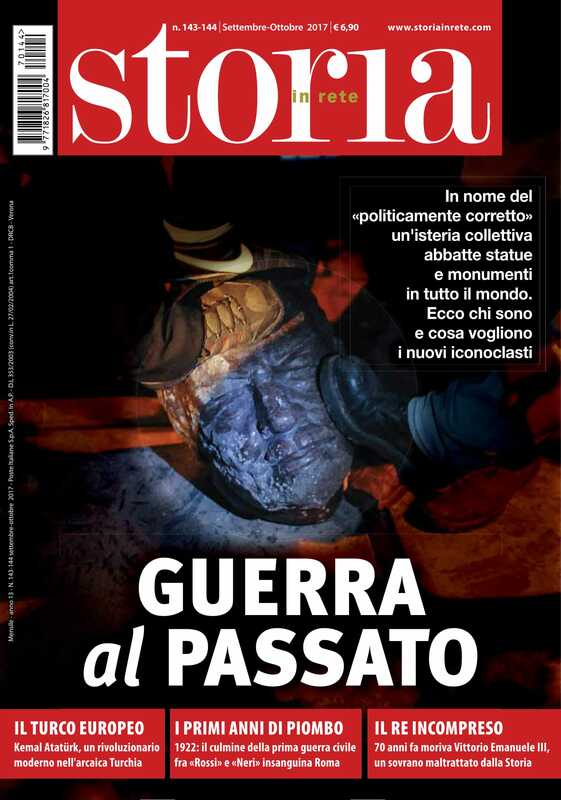 In 2012, Ettore Viri, the right-wing mayor of Affile, included a memorial to General Rodolfo Graziani, a Nazi collaborator and an accused war criminal, in a park built with funds approved by the center-left regional government. After a public outcry, the government rescinded the funds. Recently, Viri was charged with Fascist apologism, but the memorial remains in place. In Predappio, a new Museum of Fascism is currently under construction. Some see the museum, which is modelled on Munich’s Documentation Center for the History of National Socialism, as a much needed exercise in public education. (In 2016, I was a member of the international committee of historians that convened in Italy to evaluate the project.) Others fear that its location in Mussolini’s home town means that it will further fuel rightist nostalgia. Laura Boldrini, the president of the lower house of parliament, has been lobbying for the removal of Italy’s most egregious Fascist remnants. Her proposal, in 2015, to remove an inscription of Mussolini’s name from the Foro Italico’s obelisk prompted outcries that a “masterpiece” would be defamed. "La Storia senza revisione non dovrebbe circolare"